Babu Banarasi Das Educational Society’s Group of Institutions, Lucknow has been established at Lucknow in the year 2009 by Babu Banarasi Das Educational Society under the Chairmanship of Hon’ble Dr. Akhilesh Das, Member of Parliament, (Rajya Sabha) in the pious memory of Late Sri Babu Banarasi Das Ji, Ex Chief Minister of U.P. 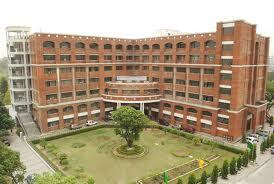 The Institute is situated at Dr. Akhilesh Das Nagar on Lucknow-Faizabad National Highway. The Institute is affiliated to U. P.Technical University, Lucknow duly approved by All India Council for Technical Education, Ministry of Human Resourse Development, Govt. Of India, New Delhi as well as Govt. of U.P, as per the programme requirement. The Institute offers Post – Graduate and Undergraduate Degree programmes in various streams of Engineering. Campus: Babu Banarasi Das Educational Society’s Group of Institutions, Lucknow has been established at Lucknow in the year 2009 by Babu Banarasi Das Educational Society under the Chairmanship of Hon’ble Dr. Akhilesh Das, Member of Parliament, (Rajya Sabha) in the pious memory of Late Sri Babu Banarasi Das Ji, Ex Chief Minister of U.P. The Institute is situated at Dr. Akhilesh Das Nagar on Lucknow-Faizabad National Highway. The Institute is affiliated to U. P.Technical University, Lucknow duly approved by All India Council for Technical Education, Ministry of Human Resourse Development, Govt. Of India, New Delhi as well as Govt. of U.P, as per the programme requirement. The Institute offers Post – Graduate and Undergraduate Degree programmes in various streams of Engineering. Central library: The central library strives to evolve into a model and leading technical library. It contributes and supports BBDNITM in building an internationally top ranked academic and research driven institution by establishing a knowledge hub. The collection comprises of documents in the field of applied chemistry, architecture, biomedical instrumentation, computer science, civil engg., electrical/ electronics engg., electronics communication engg., engineering mechanics, hotel management, information science, information technology, management, mechanical engg., mathematics, pharmaceutical science, physics, etc. The Library has a book bank for SC/ST/OBC student of the institute. The library has a separate internet section consisting of a number of networked terminals for providing recent and more comprehensive access to E-journals and other e-reference resources to the faculty, students and staff under Intranet and Internet environments. In campus seperate Hostels for Boys & Girls including mess facility. Round the clock internal security of the institutes’ Campus and Police Check post adjacent to the Campus. Total power back up through 2.0MW Captive Power Generation. Medical facilities including OPD, Doctors in attendence and on call, In house Ambulance and Medical/Accidental Insurance available.